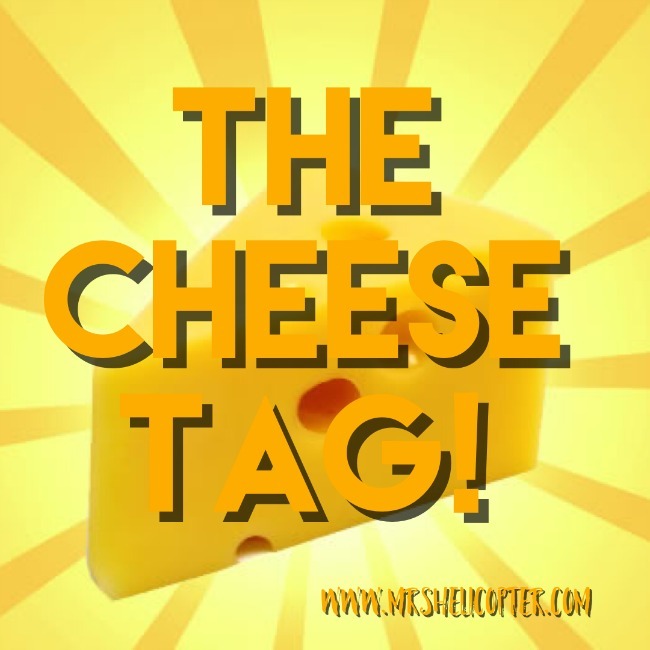 The lovely (and slightly crazy but in a warm, and very funny sort of way) Mrs Helicopter has tagged me in The Cheese Tag. Jess is a turophile. I love cheese so couldn't say no. Jess asked me some questions, I put the answers here and then tag some other cheese lovers to answer them on their blog. Easy Peasy. This is difficult because I like so many but I think it has to be good old Cheddar. A nice mature cheddar. It is so versatile, a little bit grated goes a long way, or sliced with onions in a sandwich or on toast. Yep definitely my favourite. A blue English cheese, creamy and full of flavour. Any either plain like Philadelphia or full of herbs and garlic like Boursin. Anything that is spreadable and great with crackers. Not that I can think of, it doesn't give me nightmares either. This is difficult but it comes back to with bread, so cheese and onion sandwiches, cheese on toast, baked camembert with fresh bread. No, is this really a thing? My husband does, my daughter does but when my son was young he wouldn't eat it unless it was on pizza. Pretty Woman or Love Actually. I can't decide. I love them both equally. I don't do cheesy songs, I have impeccable taste in music. (I say whilst googling the titles of songs as I am useless at remembering any). Absolutely! Before you could change your mind! I love cheese but I'm not a turophile! This is such a fun tag, thanks for tagging me!